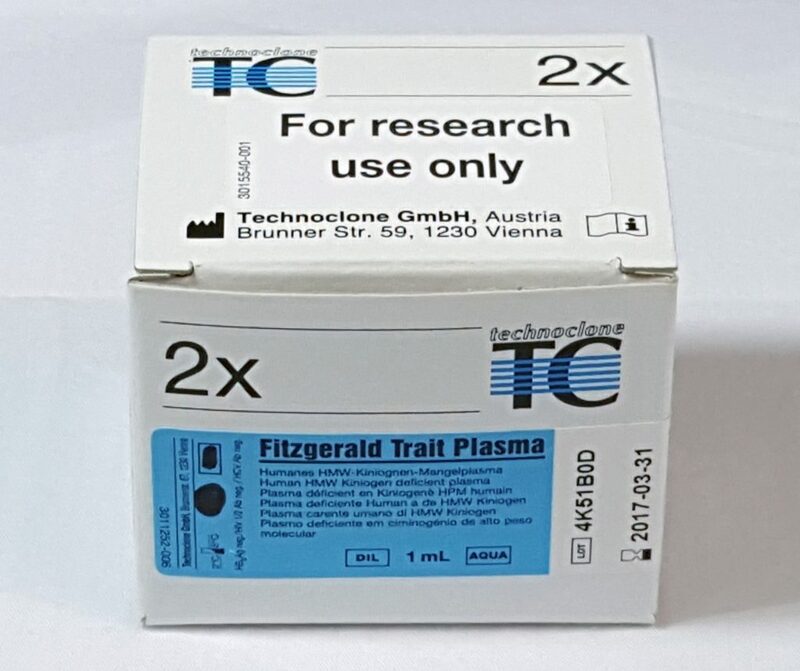 Technoclone Fitzgerald Trait Plasma is a lyophilized and stabilized human high molecular weight kininogen deficient plasma. It is used in the determination of High Molecular Weight-Kininogen defects. HMW-kininogen deficient plasma exhibit a prolonged coagulation time in the aPTT test. The aPTT can be corrected in vitro by the addition of factor XII deficient plasma or Fletcher Trait Plasma (prekallikrein deficient plasma).